The big cats, birds of prey & the Great White (or Average Caucasian to be politically correct) Shark all possess this one characteristic, a killer instinct. It’s what keeps them alive in the wilderness of the jungles & seas of this planet earth. Munster possess it too, not in abundance, but over the last few seasons in the absence of quality, leadership & with a stifling game plan it may have been the only thing they have survived on. Munster depend on it when they really, really require it. Vs Scarlets at the end of last season, eking out a win just to scrape into the Heineken Champions Cup for this term. Back to the actual Heineken Cup & the famous away win (Bossed by Ronan O’Gara) over Harlequins 2013. Never doubt the men in red, that instinct is always there. Probably the most anticipated return since The Rock to Wrestlemania in 2011, Munsters Captain Fantastic Peter O’Mahony is back for this weekends slobberknocker. Completing the Holy Trinity of the best back-row in Ireland (Joe Schmidt, I’m looking at you), O’Mahony will be gladly welcomed back for this weekend and the forthcoming month of doom. O’Mahony, O’Donnell & Stander may not be a perfect blend like the all conquering Richard Hill, Neil Back & Lawrence Dallaglio of 2003 World Cup notoriety, nor do they work particularly well in concert (classic bruising 6, fetcher 7 & skilful link player 8) but there is a huge degree of what one does the other two will follow. They have an almost perfect blend of barnstorming aggression, potency and a huge amount of trust in themselves and each other. O’Mahony however is the clear leader of the pack & the entire team, not since Paul O’Connell has there been this much of I daresay an aura about a single player. He will lift the spirits of those on the field on the bench and crucially in the stands. As Will Greenwood once said of the man ” If all the Horsemen of the Apocalypse came around the corner O’Mahony would charge straight back at them”. He might not be the tallest, heaviest, strongest or most intimidating player Munster or Ireland have ever had in their ranks, but his attitude is fearsome and crucially, his presence is always felt. Like Phil The Power Taylor or Mike Tyson, never the largest and most intimidating practitioners of their craft, but you know when they are near you and by god do you feel their presence. And now to the most anticipated debut since that of Dwayne Johnson in The Fast & Furious series. Robbie Henshaw’s summer departure from Connacht raised this writers eyebrows, never mind a few more. Was he “advised” by IRFU high performance director David Nucifora not to sign a new deal at Connacht, was the decision to move east all of his own accord? 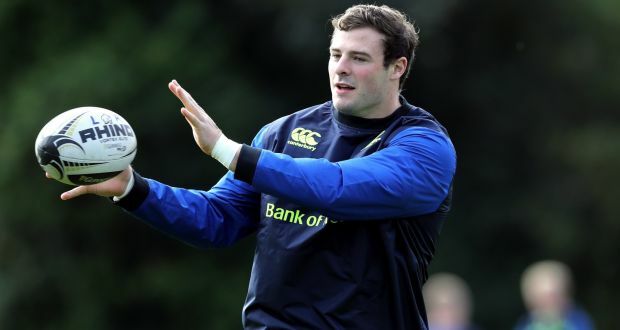 Who knows… I guess the bottom line is he is now a Leinster player, and boy what a player he is. Returning from the shoulder injury he sustained on Ireland duty in the summer just past, Henshaw is partnered this weekend in midfield by the equally as exciting Gary Ringrose. A big imposing physical presence at 6’4″ and 16st 7lb, there is still a bit of growing in young Robbie yet I believe. One to watch since bursting onto the scene at just 19 years old in 2012, he had been talismanic for Connacht, culminating in them becoming PRO12 champions last season. One has to imagine the loss of Henshaw plus other key men must be a factor in Connacht stuttering start so far this year. That is not to take away what the young man from Athlone will bring to the blue province. A fierce combination of pace, power, excellent hands and a still very youthful exuberance will go some way to filling a certain Brian O’Driscoll sized hole in the Leinster squad. His finishing needs work, but that will come in time, especially playing alongside the aforementioned Gary Ringrose. A future captain of Leinster perhaps? Regardless, he’s young enough to build a 5-10 year plan around for both Leo Cullen and Mr Schmidt. Leinster: Rob Kearney, Rory O’Loughlin, Garry Ringrose, Robbie Henshaw, Isa Nacewa (C), Johnny Sexton, Luke McGrath; Cian Healy, Sean Cronin, Tadhg Furlong, Devin Toner, Ian Nagle, Rhys Ruddock, Jordi Murphy, Jamie Heaslip. Replacements: James Tracy, Jack McGrath, Mike Ross, Ross Molony, Dan Leavy, Jamison Gibson-Park, Joey Carbery, Noel Reid. Munster: Simon Zebo, Darren Sweetnam, Keith Earls, Rory Scannell, Ronan O’Mahony, Tyler Bleyendaal, Conor Murray; Dave Kilcoyne, Niall ScannelL, John Ryan, Donnacha Ryan, Billy Holland, Peter O’Mahony (C), Tommy O’Donnell, CJ Stander. Replacements: Duncan Casey, James Cronin, Stephen Archer, Robin Copeland, Jack O’Donoghue, Duncan Williams, Ian Keatley, Jaco Taute. The start of a testing month for both teams lets be fair, with back-to-back Heineken Champions Cup fixtures between two rounds of interpro’s, tomorrow promises to be a fascinating affair in front of a (hopefully) capacity crowd at the Aviva Stadium. Had you asked me to predict this game earlier in the week, I would have said a clear win for the boys in blue. Having seen the lineups however, I reckon the return will outweigh the debut. The Munster Team That We Would Pick For This Season’s Champions Cup!